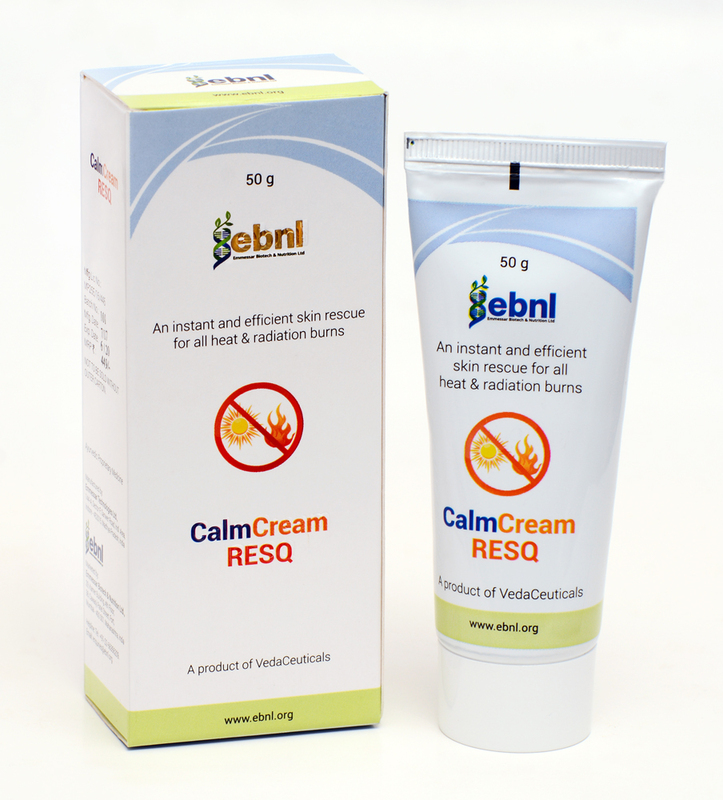 Launching the new CalmCream RESQ for instant and efficient rescue for all heat & radiation burns. Despite numerous products being manufactured & marketed globally for "Burns", the reality is that a truly effective product for burns remained an unmet medical need. Unless the product is instantly soothing; acts immediately to prevent deterioration; starts to promote and accelerates healing; you cannot claim it to be a good product for treating burns. If a product can act on several types of burns under the two broad heads -viz- heat & radiation - it is a great boon for the wide spectrum of trivial to severe burn cases. For more details about CalmCream Resq, ingredients, application procedure & enquiries, please visit here. The Basic Chemicals, Cosmetics & Dyes Export Promotion Council (CHEMEXCIL) setup by Commerce Ministry, Government of India felicitated Mr. Ashok M Kadakia with 'Lifetime Achievement Award'. Smt. Nirmala Sitaraman, Minister of State for Commerce & Industry, Govt. of lndia handed over the award to Mr. Ashok M Kadakia on 24th March 2017 in a glittering ceremony at Mumbai. Mr. Ashok Kadakia has over 50 years of experience in chemical industry. Besides being the chairman of EBNL, he was the Founder Chairman of Ashok 0rganic Industries and Ashok Alco-Chem Ltd. He is also an active member of several educational & social organisations and trade bodies. He was also on the editorial board of JSIR (as science magazine published by Govt. of India). He has vast experience in the chemical industry and has distinction of bringing India on the international map in this buy viagra online cheap sector. He is currently Hon. Consul of The Grand Duchy of Luxembourg in Mumbai. He is the Zonal President of All India Manufacturers Organisation (AIMO) as well as President of All India Alcohol Based Industries Development Association (AIBIDA). Mumbai, India – May 18, 2016 – Emmessar Biotech & Nutrition Ltd (EBNL) today announced the new company logo as part of the ongoing evolution of our company’s brand. This logo (newly designed) reflects more accurately the identity of EBNL and also symbolizes its dynamic future. ‘Cells’ are the building blocks of living bodies. The information that governs how the cells will function is in its DNA. Since EBNL’s products are designed to build healthy new cells and repair old sick cells, DNA was chosen to be the principal axis of the logo represented by the ‘Double helix’. Crowning the ladder of DNA are the leaves that symbolize the springing foundation of dynamic life. With the DNA symbolizing the structural origin of life & the leaves symbolizing the functional origin of Life, EBNL’s new logo depicts the inter-relationship of structure & function of life. VedaCeuticals, the science & technology used by EBNL is a fusion of Ayurveda, the original science of health and Pharmaceuticals, the modern healthcare system. This fusion is represented by the intertwining green & blue colors in the DNA structure. The new typeface also lends a modern, clean look and evokes further clarity on the company’s vision – ‘To propel an evolution towards a healthcare revolution by providing simple solutions to complex health problems’. Changing the logo is a process that can involve many steps. EBNL will be updating all its collaterals, marketing materials, product packages etc. progressively over the coming months.